A decade in the making, Marvel’s cinematic risk rewards patient fans with an incredible payoff worthy of the name. Marvel keeps the comic book action coming with Avengers: Infinity War that’s hot on the heels of their biggest hit yet, Black Panther. This entry into the Marvel film universe is a stunning, entertaining and heartbreaking piece that features perhaps the biggest and most protracted showdowns in cinematic history. Over ten years and umpteen films in the making, Marvel took a huge risk here, and one I’m happy to say that rewards patient fans with an incredible payoff. It’s becoming increasingly more difficult to break out of the ‘superhero mold’ as the multiplexes have become inundated with them, but this is where Infinity War shines the brightest; as you may not even realize just what’s actually taking place until after the credits roll and you’re left thinking “what the heck just happened?” Yeah, it’s going to be like that! With so many previously top-billed stars vying for glory it’s only reasonable that some would have little more than cameos, like Black Widow (Scarlett Johansson), but nearly all of your favorite headliners are given ample time to shine and really strut their stuff on the biggest screen possible. Here’s a film that blends Iron Man, The Hulk, Black Panther, Guardians of the Galaxy, Dr. Strange, and even Spider-Man into something bigger and, for the most part, better than its individual parts. The film opens with Thanos (Josh Brolin), who we learn hails from a beautiful planet that was destroyed due to overpopulation. He felt the only way to save his home was to kill half the population at random so that the rest could live prosperously; by doing this, he was deemed a monster. However, Thanos believes it was the right decision, and now he’s determined to do the same throughout the Universe and will stop at nothing to get all six mystical infinity stones that will allow him to do just that. All that stands in his way are the Avengers, their allies…and his adopted daughter, Gamora (Zoe Saldana). For anyone who has seen at least a few of the Marvel movies, this is where you would get ready to sit back and watch the predictable action ensue as huge entertaining fight scenes and amusing one-liners are brought to life by the familiar actors who portray the various Avengers. And that’s exactly what I did – until events took a turn that few were expecting and left everyone completely dumbfounded. The inciting incident that starts off this movie really sets the tone for the film, and is in a way a foreshadowing of what is to come. While the constant jumping from one location/storyline to the next left me slightly disoriented at times, the overall cinematography was exceptional and the grand set pieces were like something out of a fantasy. The detail and artistry onscreen is absolutely exquisite. Screenwriters Christopher Markus and Stephen McFeely, who worked together on the Captain America movies, definitely had an end goal in mind. And much like Thanos, they were not willing to let anything get in their way. Returning Captain America directors Anthony and Joe Russo have made some interesting and pivotal choices in character and world development here. While Thanos is definitely the antagonist, I found it endearing that he was allowed small moments of humanity, where even mere mortals in the audience could feel the weight of his choices and the effect of their inevitable consequences. Also, while not every superhero had strong character arcs in this film, each definitely had their marquee moment when they were allowed to be a part of the storyline in a meaningful, and even heartbreaking way. 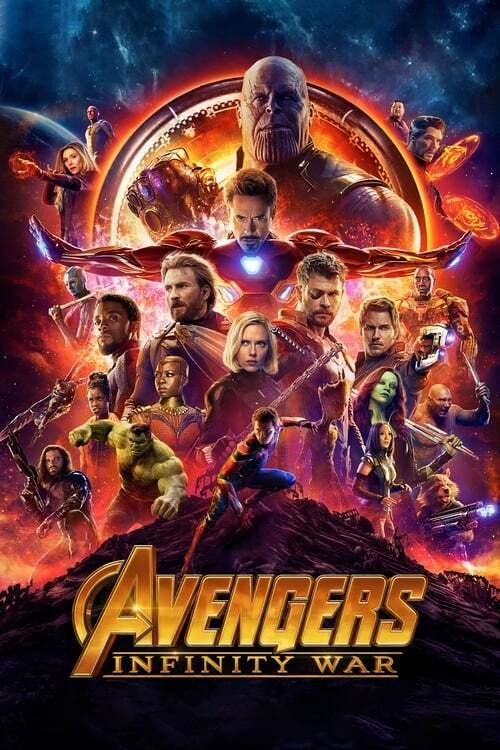 Even if you haven’t seen every film in the Marvel Cinematic Universe (MCU) leading up to the events in Avengers: Infinity War, don’t worry, as you’re in good hands in what’s clearly the biggest ensemble of superheroes ever packed into a single film. What could have been a cinematic disaster ends up a triumph, both of planning and execution, one that should make even the most exhausted fans out there cheer with joy.